Each year, I connect with small business owners and civic groups who have an interest in helping our local schools. 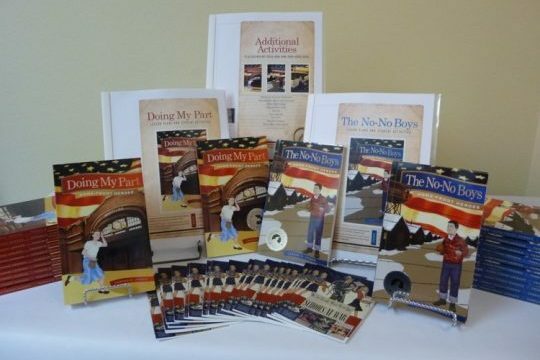 My Author Visit Program was created at the request of area teachers, who have not seen a rebound in school budgets but very much want my author visits, writing workshops, history assemblies, and classroom sets of free books. If championing literacy, writing, World War II education, and the arts is of interest to you, please contact me and I'll send you a partner packet. We have great new incentives for our partners that will bring you even more exposure in our community! Let us know if you have a preferred school (maybe the school your children or grandchildren attend). Please be a hero for our kids! 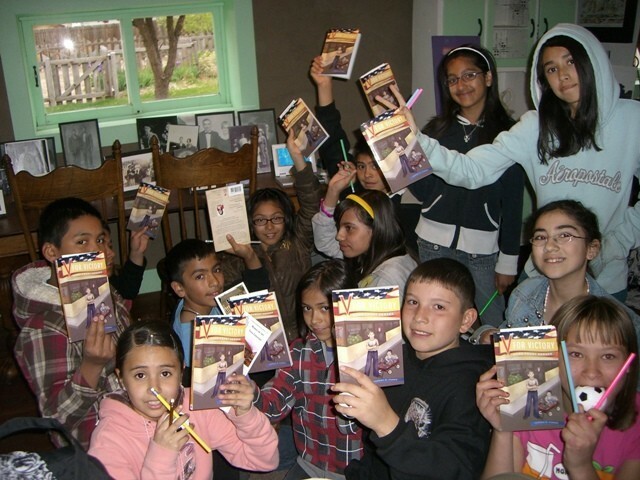 If you would like to support reading, literacy, and history education in our schools, please consider becoming a sponsor of Teresa's popular Home-Front Heroes School Kit program. This program provides classroom or reading group sets of Teresa's books, along with teaching materials and a gift for the students, to teachers on our nationwide waiting list. We have placed more than 80 kits in schools in eleven states, but still have dozens of teachers on our list. If you choose, your donation can be made in honor of a man or woman from the World War II generation. We will create a flyer for the students to read about your honoree, and he or she will be featured on our WWII Honorees wall. Every year, Teresa provides hundreds of copies of her books to organizations that work with at-risk, low-income and Hispanic children and seniors. 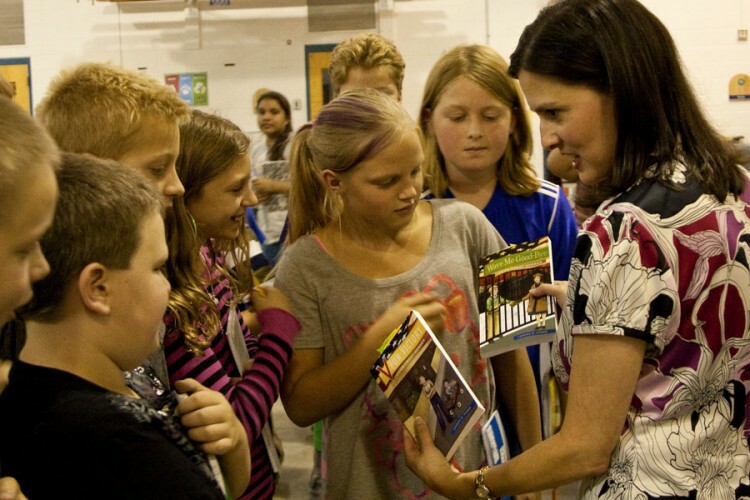 She visits their holiday parties to meet the families and sign their books. It's her favorite activity of the year! To view pictures of many of our giveaways, visit the photo gallery! Thank you to our amazing sponsors and business partners!! To see more pictures of all our community outreach, please view the photo gallery. Special Thanks to Our 2018-19 Gold Star Partners! Sign up for the newsletter to receive information about our monthly giveaways and discounts. Copyright ©2019 Teresa Funke & Company. All rights reserved.